The Brewers of 2018 were the league’s breakout darlings, and those over-performers carried the team to the brink of the World Series. But the downside of a collective breakout is the ensuing collective regression. Which, I admit, is a very cynical take. Christian Yelich could very well put up 7+ WAR again. Jesus Aguilar could play well enough to actually justify having his name in the “Best NL Central First Baseman” conversation. Brandon Woodruff could be Micah Owings but better! Or none of these things could be true. I lean toward the latter. Yasmani Grandal — ZiPS expects to take a sizable step back from his performance the past four years. Since 2015, Grandal has been worth around 5 WAR each season, striking out a lot but hitting with good power for a catcher. A projection of 3.6 WAR definitely sits on the conservative end, so I wouldn’t be surprised to see Grandal outperform ZiPS. Jesus Aguilar — Aguilar had only hit 30+ home runs once in his life before 2018 when he hit exactly 30 for the Indians’ AAA team in 2016. Last year, he brought the rain. With 35 long balls leading to a 134 wRC+, the big first baseman led the Brewers breakout parade. He’s unlikely to repeat that 3.1 WAR performance and likely won’t rise to the ZiPS 2.3 WAR level either. 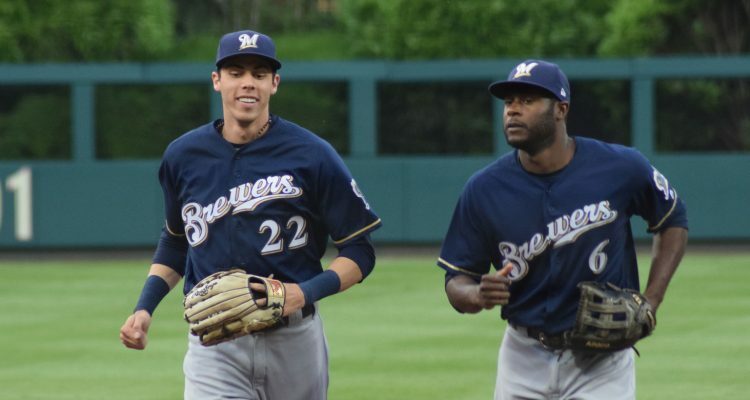 Christian Yelich — The Brewers knew they were getting a star when they traded for Christian Yelich, but I don’t think anyone expected him to do his best Mike Trout impression. The new face of the franchise put up 7.6 WAR en route to his first MVP award last season, but no one expects him to repeat that level of performance. A 5+ WAR is nothing to scoff at but considering the Brewers needed every win to take the Central last year, any regression hurts. 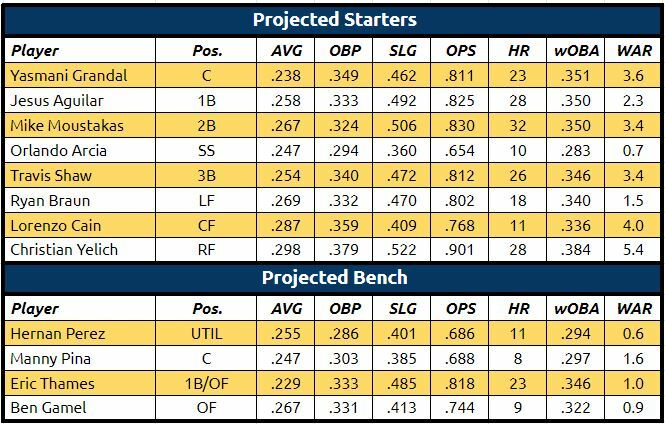 The Bench — The Brewers and the Pirates are in a race for the worst bench in the Central and that’s after the Brewers upgraded with Ben Gamel. I think I give the edge to the Brewers because the Pirates really aren’t trying this year and the Brewers can call up Keston Hiura at any point, solidifying their options. But still, the reserves ain’t pretty. 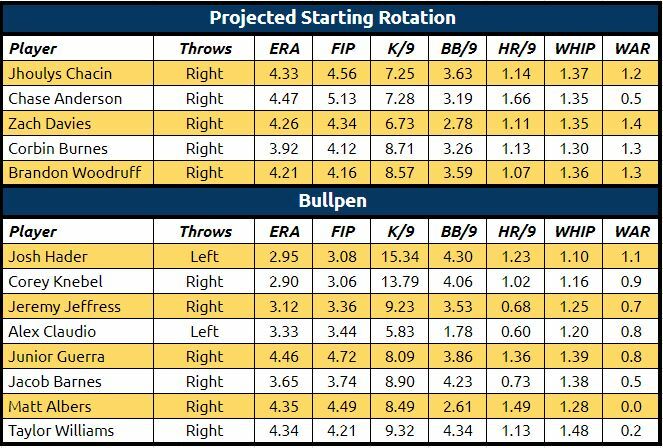 The Brewers have a projected rotation simply because a projected rotation must exist, but make no mistake, Jhoulys Chacin is the only guaranteed arm. Of course, some combination of the other four plus Jimmy Nelson and Freddy Peralta will comprise the rotation, but nothing is set in stone. Zach Davies and Chase Anderson are uninspiring No. 4 types that may slip into the No. 2 or No. 3 role. Brandon Woodruff, he of postseason home run glory, should get another shot at starting but has yet to find success at the beginning of games. Corbin Burnes has the most promise of this uninspiring Brewers rotation, with the 10th-best fastball spin rate in the major leagues. He pitched exclusively from the pen last season, but by his own admission is excited to work from the rotation this year. As for the bullpen, the three-headed Cerberus of Josh Hader, Jeremy Jeffress, and Corey Knebel still exists except Knebel is bound for a doctor examination and his manager’s prognosis — “There’s a reason for concern” — is, uh, concerning. With Jeffress starting the year on the IL as well, the bullpen looks rough from the get-go. More worrisome than Jeffress” health actually is the high likelihood he falls back to earth. For the first time in his major league career, he sustained a strikeout rate of my than a batter per inning. ZiPS bakes in a good deal of regression for Jeffress, but I wouldn’t be surprised if he fell further. Sadly for Brewers rotation clarity but happily for the club’s social media team, Brent Suter will have a lot of time off this year. A comedic genius if evaluating solely on Twitter videos, Suter had a decent but unremarkable 2018 on the bump. In mid-July, he underwent Tommy John surgery and will likely miss all of 2019. 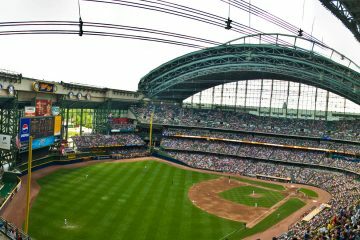 Jimmy Nelson, coming back from a labrum surgery that led him to miss all of 2018, should take the mound sometime in April and provide the Brewers a much-needed counterpunch to Chacin. PECOTA may be an all-seeing computer with advanced knowledge of player performance, aging curves, and other fancy stuff, but I have a laptop, two working eyes, and an MLB.tv account. I understand why PECOTA is so bullish on the Brewers. They fixed their one glaring hole, have a full season of Mike Moustakas, and maintained their entire core. However, the Brewers are due for at least a touch of regression and the Central as a whole is much better this year than last. Ultimately, I see the Cubs and either our Reds or the Cardinals besting the Brewers in the division. Photo Credit: Ian D’Andrea. Photo was slightly altered. Licensing can be found here. I stand by my earlier comments. No rotation, regression from individuals, one injury away from disaster. They are not winning the division this year, and that is not just cause of the “but the reds are going to argument” they had a lot of luck last season. Have major holes, and would like to see them rebuild. Yelich was on fire for the last 6 weeks of the regular season, the Reds certainly got some burns from his performances. Add in a BABIP that was 2nd best, a defense that was 4th best in WAR but aging (Braun, Cain, Shaw, Moustakas, Grandal all 29 and older) and now injury issues, which the Brewers largely avoided last season…. Maybe they can squeeze out another year of favorable outcomes across the board, but it feels like their margin for error is much slimmer than that of Chicago or St. Louis. 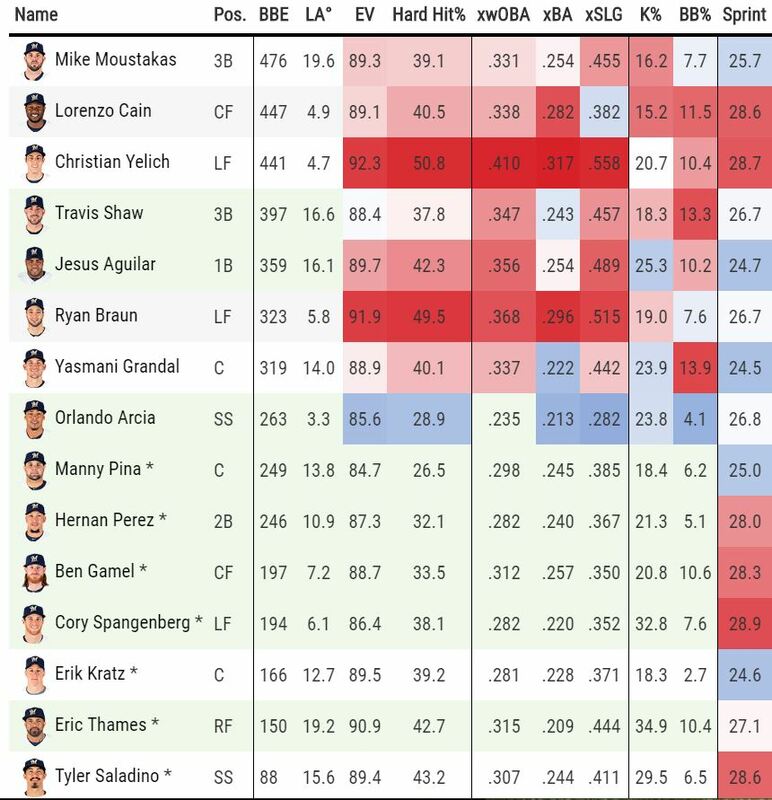 Is there a FanGraphs 2019 projection? The other previews had PECOTA and FanGraphs and it’d be great to see how they all line up. This has been a great series of posts by the way. Clearly the worst pitching in the division based on ‘stuff’. Yet I was amazed how well they outperformed. Maybe that was the pitching coach or the advanced metrics or both……we’ll see. They don’t seem prepared for the grind of 162. Milwaukee’s position players + Pittsburgh’s pitching staff = world series.